The party bus Sebring service that we provide is beneficial for organizing any special trip or occasion. You might be looking to entertain a group of corporate clientele in this region. You could combine sightseeing with fun party activities for the group with our party bus rental service. Again, if you are looking to celebrate your birthday in a special way, you will surely find our party bus rental Sebring service convenient. Book your bus rental now, call 813-514-6980. 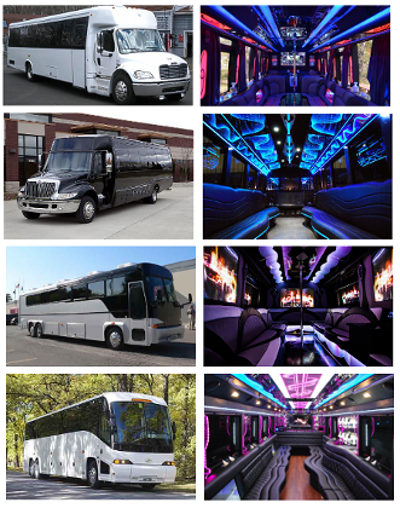 The party bus Sebring service we provide has several, as many as 20 passenger party buses and more to choose from. The models vary, from limo buses to double decker or coach versions. The amenities are modern, from state of the art entertainment systems to night club lounge like seating arrangement and kitchenette facilities as well. The party bus Sebring service is easy to reserve on the go. You can make the reservation on the go, on your smart phone as well. All you need to do is log onto our site and choose from among the 30 passenger party buses and more. Once you have chosen the model you wish to hire, check the seating capacity and amenities as well as the rate of hire before you proceed. Once you have made the payment online, your booking will be confirmed. You could also call in at the call center numbers provided, to confirm a limo bus booking. You need to provide customer contact details and address for the limo bus booking to be completed. Highlands Little Theater; it is a local entertainment center where live shows can be watched. Lucid Heart Gallery; it is a must see place in Sebring. Happy Owl; if you are shopping for specialties, stop by here. Alligator Antiques; this is another place to shop at. Lakeside Stables; this is a great place to do kayaking. These are some of the several places to check out in and around Sebring. With a party bus hired, you are sure to have a great time. The airport transfer services we offer through our party bus rental service makes it convenient to get large groups of people to and from the nearby Orlando International airport area in time. This is convenient for private tour operators especially. There are many towns and cities in and around Sebring, which you might want to visit like Winston, Avon Park, Winter Haven, Lakeland Highlands, Bartow, Haines City, Punta Gorda, Port Charlotte, Saint Cloud, and Lake Wales. When a large group is visiting a nearby town or city, it is best to make the travel fun and comfortable by opting for one of the 50 passenger party buses that we offer. The travel will be comfortable and enjoyable as well.